For only the second time in the history of the tournament, the 2016 NCAA Division I Women’s Volleyball Championship is headed to the Buckeye State. The Greater Columbus Sports Commission, in partnership with The Ohio State University and Nationwide Arena, were awarded the 36th annual championship in December of 2013, which includes both the semifinals and final rounds, along with the American Volleyball Coaches Association Convention (AVCA), December 15-17, 2016. 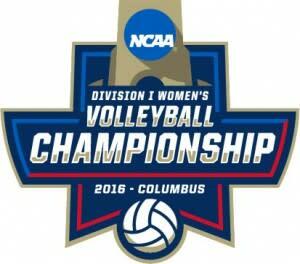 This NCAA event will culminate in downtown Columbus as the top four teams in Division I women’s volleyball visit Nationwide Arena to crown a national champion. The two semifinal matches will be played on Thursday, December 15 with two teams advancing to the championship match on Saturday, December 17. The NCAA Division I Women’s Volleyball Championship will generate an estimated 10 million dollars in direct visitor spending for Central Ohio. The semifinals and championship matches typically attract more than 36,000 fans to Nationwide Arena over two nights, with all three matches nationally broadcast on ESPN. The AVCA Annual Convention attended by 2,500 coaches, and the AVCA UnderArmour All-American match for high-school girls, which will also be nationally broadcast on CBSSports, will be held in conjunction with the event, along with other NCAA ancillary activities. The AVCA Annual Convention, will represent close to 5,000 total room nights, not including fan accommodations. The AVCA will utilize more than 90,000 square feet at the Greater Columbus Convention Center for their meetings. The Ohio State Women’s Volleyball Program advanced to the NCAA Sweet 16 in 2015 and is looking for an even deeper run in 2016, with the chance to compete for the Championship in Columbus. The season will start off with top-ranked competition coming to Columbus in Week 2 for the 12th annual Sports Imports D.C. Koehl Classic (Sept. 2-3). The #15 Buckeyes welcome in #13 BYU Cougars (28-4) along with LIU Brooklyn and Wyoming to Nationwide Arena in preparation for the 2016 NCAA Division I Women’s Volleyball Championships in December. The 64-team championship bracket will be announced Sunday, November 27. Sixteen campus sites will hold first- and second-round, single-elimination competition December 1-3. Sixteen teams will advance to single-elimination regional competition, December 9-10, at four on campus sites. One team from each regional will advance to the championship in Columbus. In the last seven years, the Big Ten Conference has had at least one team, if not two, in the semifinals. Currently, there are six Big Ten schools in the Top 15 in the AVCA Division I Coaches Top 25 Poll. For complete information on the Division I Women’s Volleyball Championship visit www.NCAA.com/Volleyball. Tickets will go on sale to the general public on August 15 at 10 a.m. Eastern time. All-session tickets include two semifinal matches on Thursday, December 15, and the national championship match on Saturday, December 17. Match times are to be determined. Tickets start at $40 plus applicable service charges and may be purchased online at www.NCAA.com/Volleyball, at the Nationwide Arena box office or by calling 800-745-3000. Group ticket sales information is available by calling 800-GO BUCKS (462-8257). Fans can enhance their game day activities at the 2016 NCAA Division I Women’s Volleyball Championship with exclusive access to The NCAA Experience® managed by PrimeSport. Official ticket and hospitality packages are available at www.NCAA.com/VIP. The Greater Columbus Sports Commission has been a catalyst in transforming Columbus into one of the world’s best sports destinations since 2002. Our mission is to rally Columbus to compete and win sporting events, providing a singular athlete and fan experience and positively impacting our image, economy and lifestyle. The Sports Commission provides the experience and expertise from hosting more than 380 new sporting events that have generated over $400 million in visitor spending, while retaining annual events that have generated an additional $250 million. For more information, visit columbussports.org.